Katye assists a diverse range of corporate clients to accomplish their business objectives. She focuses her practice primarily on transactional and regulatory work. 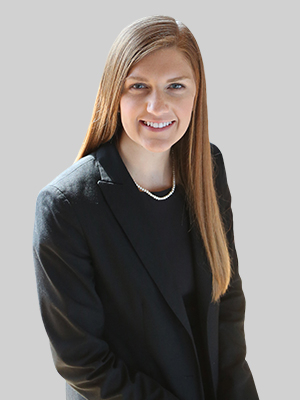 Katye's corporate law experience has allowed her to help clients in the energy, real estate and health care industries close transactions and obtain regulatory approvals. Katye is a regular contributor for the Elements for Growth Blog, which provides news, information and resources about infrastructure and economic development in the Southeast. Katye was of counsel at Smith Moore Leatherwood LLP, which merged with Fox Rothschild in 2018. While in law school, Katye was a member of the editorial staff of Wake Forest Law Review, Order of the Coif and Wake Forest Moot Court. She received the CALI Award for highest class grade in Health and Medical Research for Lawyers, Constitutional Law II and Civil Procedure. Katye serves as secretary of the Young Professional Advisory Committee of Step Up Ministry and is active in the annual United Way Campaign. She is a member of the Junior League of Raleigh and a graduate of the Greater Raleigh Chamber of Commerce's Leadership Raleigh program (Class 34).